New Videos - Hilux & VXR! 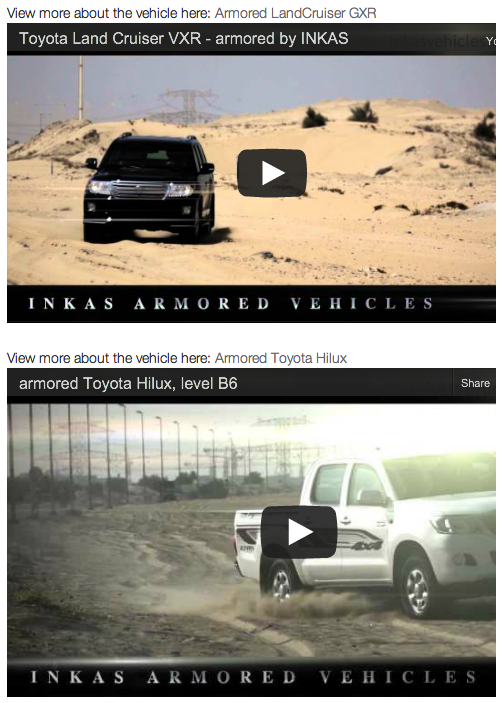 INKAS VEHICLES LLC > News > News > New Videos – Hilux & VXR! New Videos – Hilux & VXR! Please head over to the media section to view our new dedicated vehicle videos for Toyota Hilux and Toyota landCruiser.